Dear Readers: Two things. 1) I’m updating the look of this blog. I’m not quite done yet so please be patient. 2) For the next two weeks I’m running a guest blog written by a contact I have in Australia. (He’s graciously written for this blog before). Since Australia is the most metric of any of the former British colonies, I thought it would be interesting to hear his perspective. I’ll be back in two weeks. Enjoy! In 1972 my family emigrated to Melbourne, Australia. The seasons had moved six months away from where they used to be. You spent dollars instead of pounds and caught trams instead of buses. Everybody spoke with a funny accent and they thought I had a funny accent. 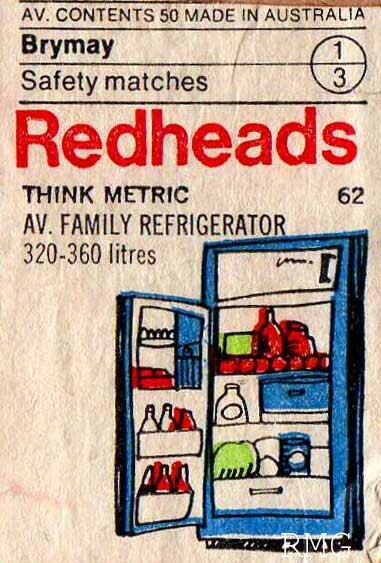 That year the Australian government began the changes that would lead the country into metric territory. The ease with which business found they could calculate wages, taxes, commissions and discounts (in an era before spreadsheets, desktop computers and calculators) was a major factor for metric conversion. A lot of people were against it, of course. It was asserted that it was going to cost a fortune, baffle everyone for no good reason and thousands would die in car crashes caused by confusion over metric speed limits. I thought it was a good idea because I had been puzzled as a six-year old, learning that there were16 ounces to a pound, 14 pounds to a stone, 12 inches to a foot. Mom believed that the government shouldn’t change things like measurements because older people didn’t understand what was going on, which was true, but not a wholly valid reason, I thought. During the time that Mom had run a village post office in England, the British changed their currency. It was too difficult for one lady in her eighties. She would give Mom her purse and tell her to take whatever she needed to pay for her purchases. In Australia Mom ran a shop that sold wool and knitting needles and she was forever explaining to customers that the the 50 g size replaced the 1-ounce, the 100 g size replace the 2-ounce, and the 4-ounce had been discontinued. Yes, they do cost a bit more, that’s because they are a bit bigger. No, she didn’t know why they changed things. Yes, that’s what you can expect from a Labor Party government. One of the first things to go metric that affected the general public was weather reporting. I can remember a TV news advert telling us that weather forecasts were going metric: rainfall in millimeters, temperatures in Celsius. Some people grumbled that 38º Celsius didn’t sound as hot as 100º Fahrenheit. True, but it still felt as hot. In 1972 sports began to change to metric, and sport is something most Aussies are passionate about. That year the Melbourne Cup was run over 3200 meters instead of two miles, as the racing industry had adopted 200 meter increments to replace furlongs. A lot of racing fans were miffed because a centuries’ worth of records for some classic races could not be compared with modern results. The football field stayed the same size but commentators had to describe throws and distances in meters instead of yards. and after a couple of years they stopped including the conversion. A lot of magazines published articles about metric conversions and how it was going to affect the reader, especially magazines covering specialist subjects like hobbies or motoring. The occasional humorous metric mix-up got printed. I read of a builder struggling with some drawings he had been sent. He phoned up the architect and was told the plans were metric: 1 centimeter to the foot. I was in the air force while the metric conversion was happening and I didn’t notice a lot of it. My service ID card showed my height in centimetres but most of the equipment I worked on was Imperial. Aircraft fuel gauges read in pounds and wingspans were still in feet. I lived in the barracks and ate in the Airmen’s Mess so I don’t remember when metric sizes made their way onto the supermarket shelves. The big change everyone noticed was in motoring. In July 1974, almost overnight, all the road signs and signposts sprouted a little yellow tag with the letters “km” to tell you that the distance was metric, and all the speed limit signs changed from the US style to the European model. One of my co-workers was let off a speeding fine because he claimed to be confused by metric speeds and the judge agreed with him. Happily, the hundreds of additional road deaths critics had told us to expect never happened. A related metric change was gas pumps. The price of gas had increased to more than 99 cents per gallon and the old electro-mechanical pumps couldn’t display the high prices. I suppose some optimist never expected gas to get past $1 per gallon when they designed the pump. They got around this problem by putting a sticker on the pump saying that the amount dispensed by the pump was actually twice the amount displayed and that is what you would be charged for. The weights and measures inspection people weren’t happy with this state of affairs and metric conversion allowed gas pumps to become honest again. First, prices were carefully monitored and the public was asked to report what they thought might be profiteering. Secondly, shops like butchers and greengrocers who sold produce by the pound all converted to metric one district at a time. This meant that if your favorite butcher started selling meat by the kilogram you couldn’t go to the next one down the street and ask for a pound of steak because he would also be metric. The organizations representing small businesses had asked for the conversion to be done this way so that none of them would be disadvantaged by one shop in a street or shopping center refusing to change and thus attracting customers who didn’t want to use metric units. In one area it was a muddle: public information. A lot of people learned about the metric system from training related to their work and children at school were taught the metric system as part of the curriculum. 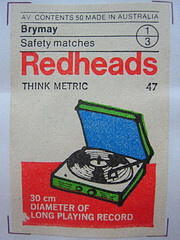 There was some information distributed to particular sections of the population such as motorists or housewives and things like postage stamps and labels on matchboxes had metric information but there was little education for the general population. That meant they had no overview of the whole metric system and no explanation of why it was being done. 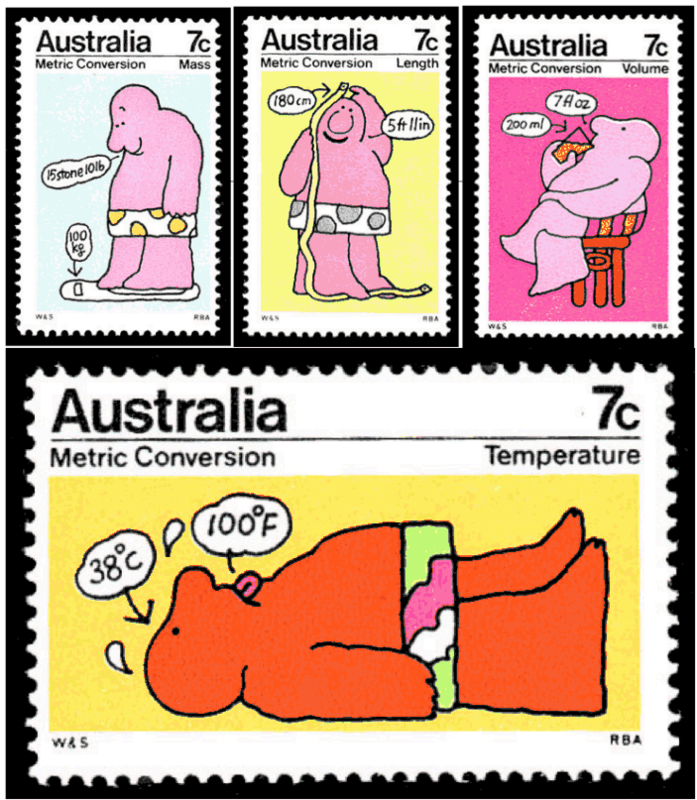 I think that was the major shortcoming of the Australian metric conversion: a lot of people didn’t understand the need for metric conversion and it felt like an imposition. 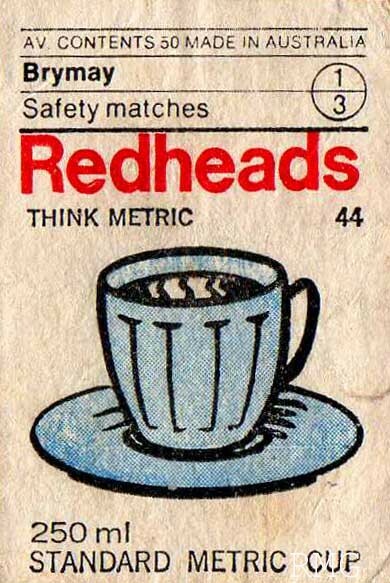 There was an Australian Anti-Metric Association. They were very vocal in their opposition to metrication, but they never got a lot support and just faded away after a while. The Metric Conversion Board believed that the outrageous claims of their opponents often defeated their own case. The Board used to invite representatives from the Association along with the press whenever they held information sessions, to ensure they would never run out of ammunition. The opposition faded eventually. Prices didn’t inflate out of proportion, people got used to the new measures and eventually people started filling up their car by the litre and asking for half a kilo of steak instead of a pound. Forty years after Australia started its metric conversion if you ask people about the changeover they can hardly remember what the fuss was about.